Ownership of Floyd Lamb Park at Tule Springs was recently transferred to the city from the state. The 680 acre Floyd Lamb Park is a welcome oasis in the desert of northwest Las Vegas. With its wildlife, lush vegetation, lakes and views of the Sheep and Spring Mountain Ranges, Floyd Lamb is a natural park unique to the typical Las Vegas urban experience. 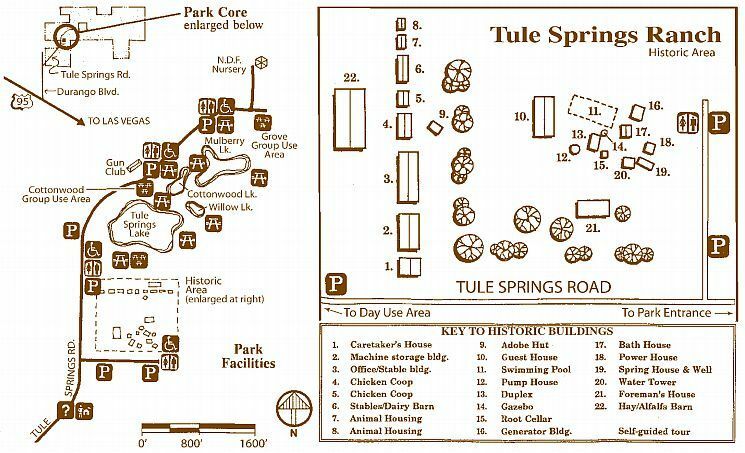 The historic Tule Springs Ranch is tucked inside the park and provides opportunities for visitors to learn about the traditional working ranch and early Las Vegas lifestyle. More than 200,000 people enjoy this park and all its amenities each year. Floyd Lamb Park is located in northwest Las Vegas, near U.S. 95 and Durango, approximately 15 miles from downtown Las Vegas. Summer months (May-August) 8 a.m. to 8 p.m.
Winter months (September-April) 9 a.m. to 5 p.m.
Group Reservations are available. Please call 702-229-6718 for more information.